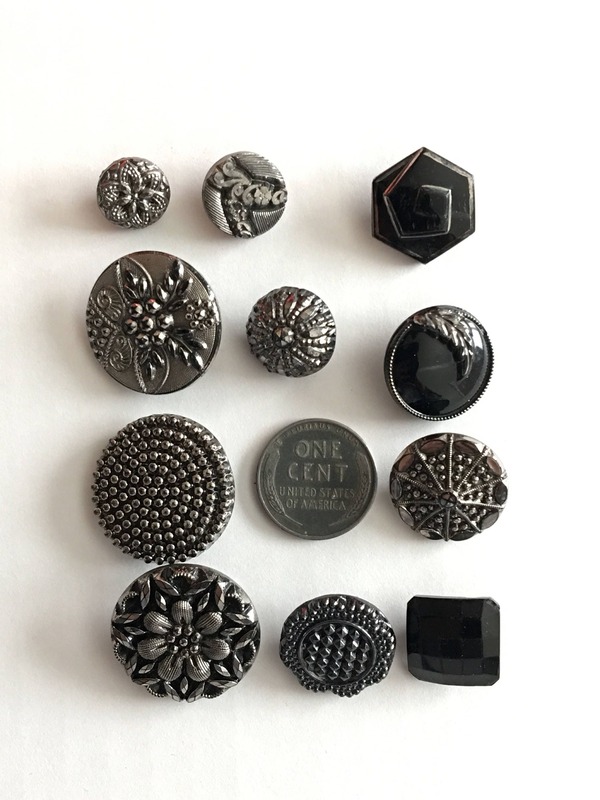 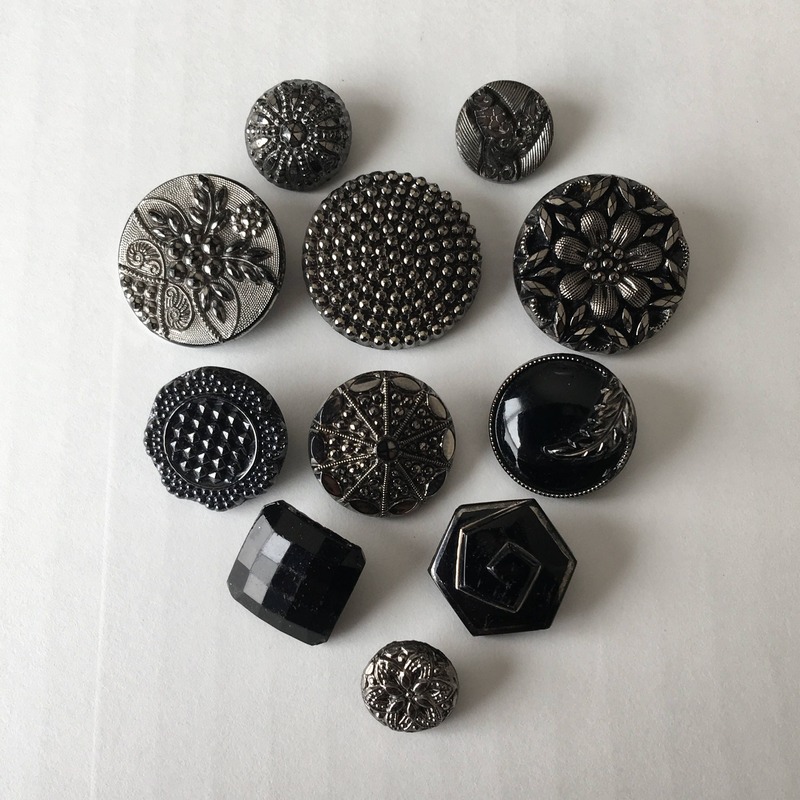 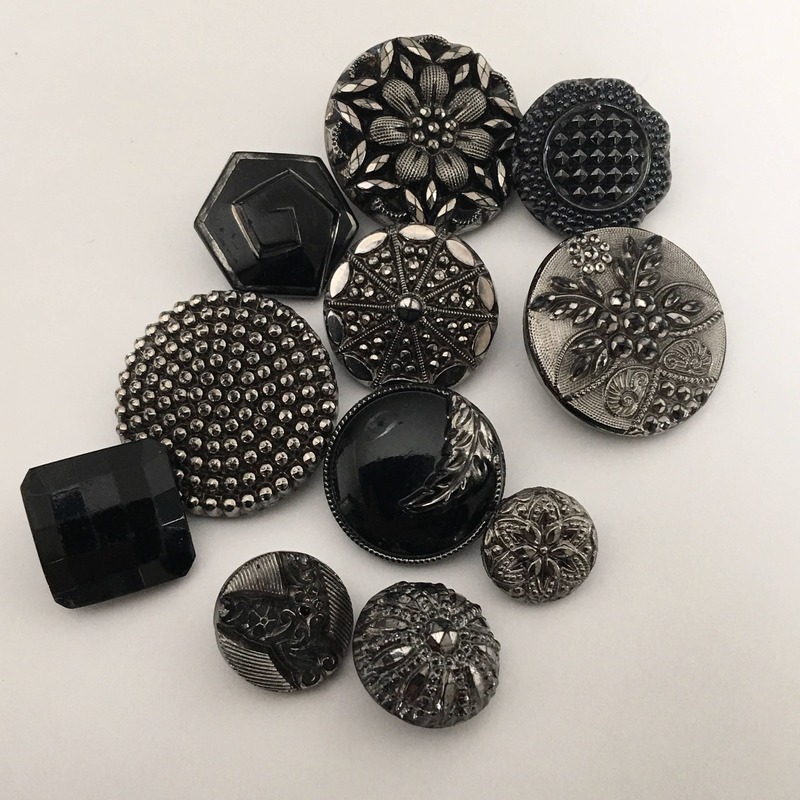 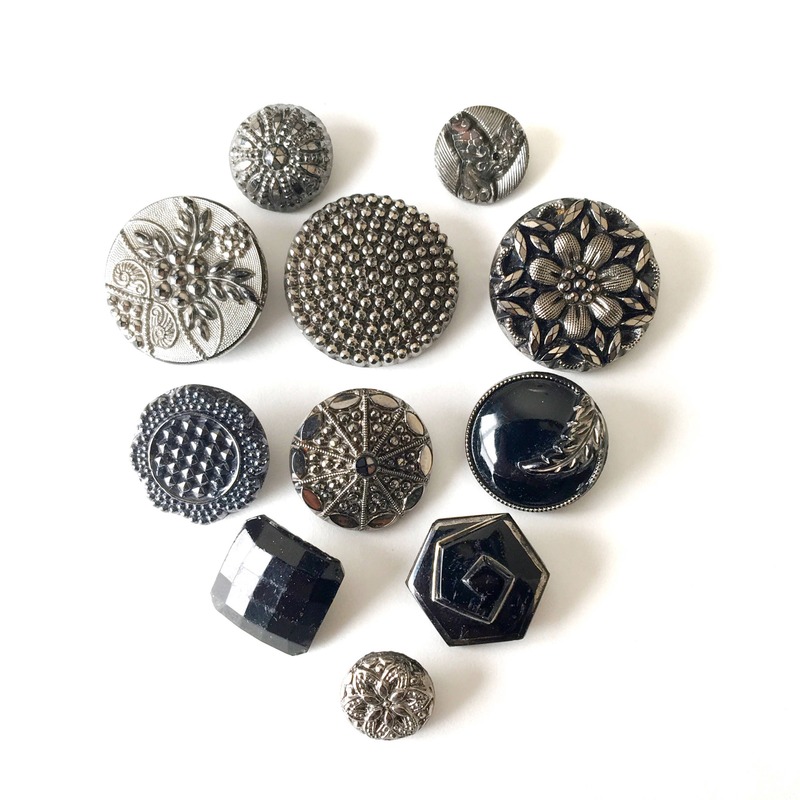 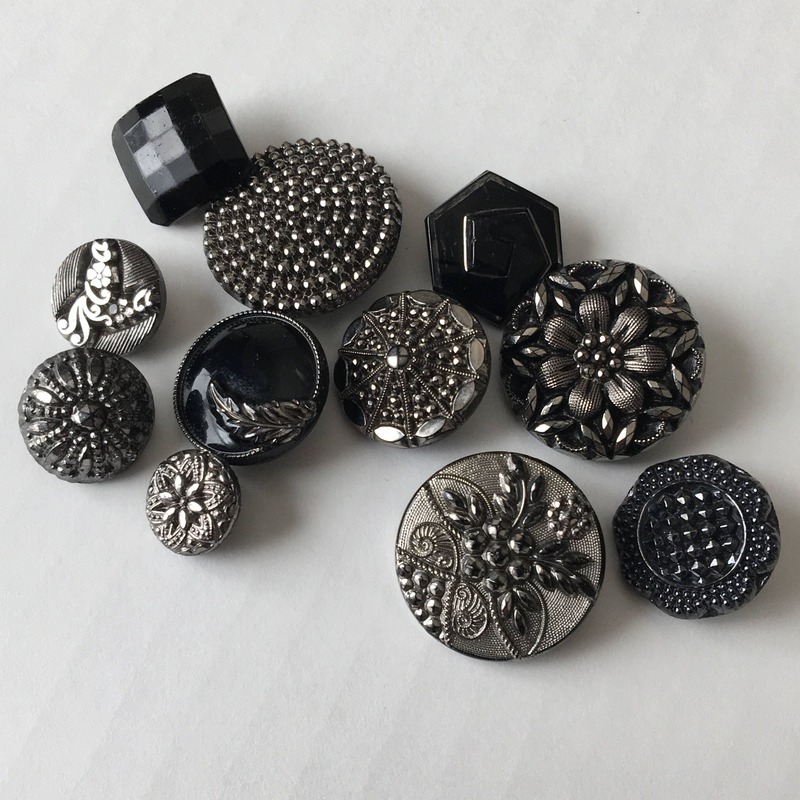 Gorgeous vintage buttons in different shapes and intricate patterns are all black glass with iridescent silver detailing on most. 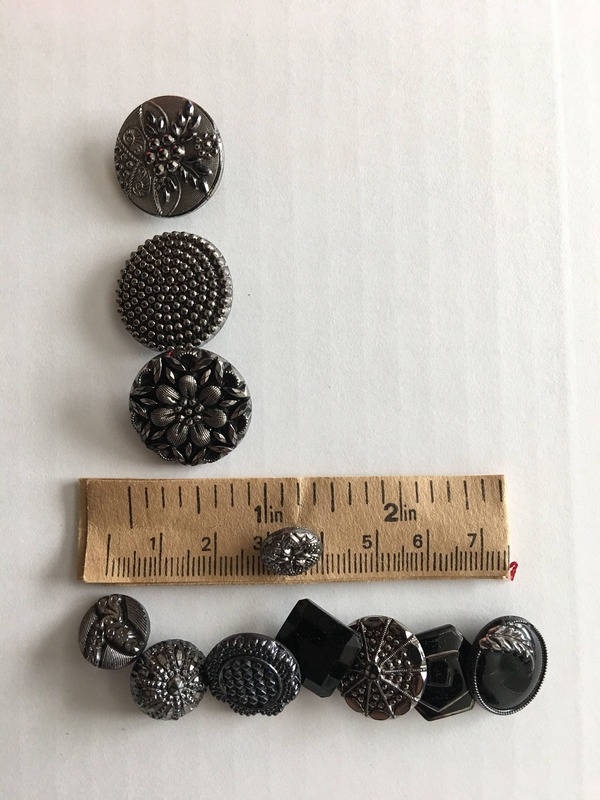 Buttons are shank backs and range in size as shown in photos (penny not included, only used for reference). 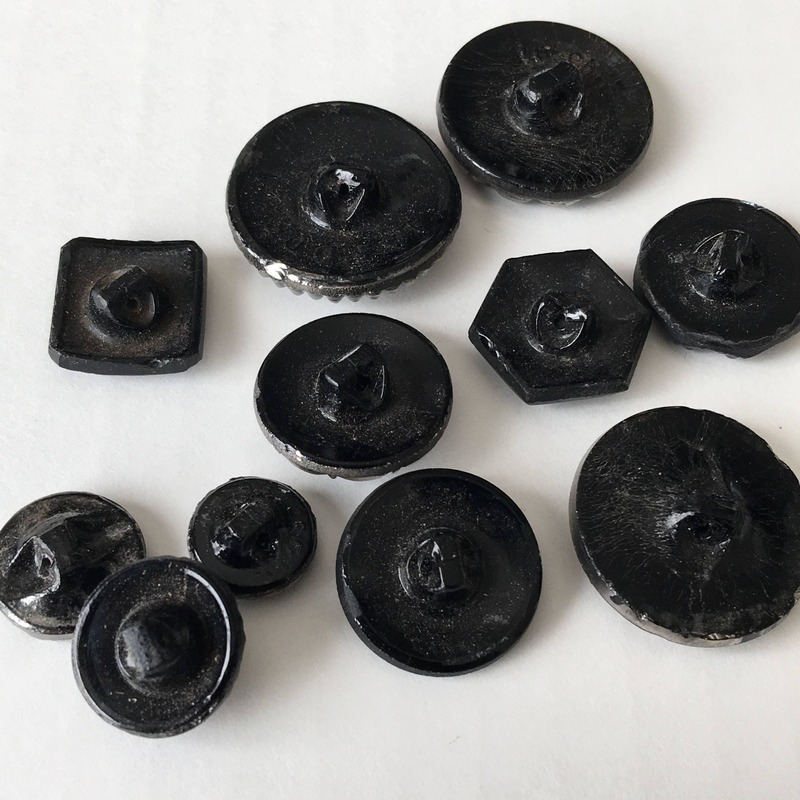 Good vintage condition - one button has chip on bottom of shank. 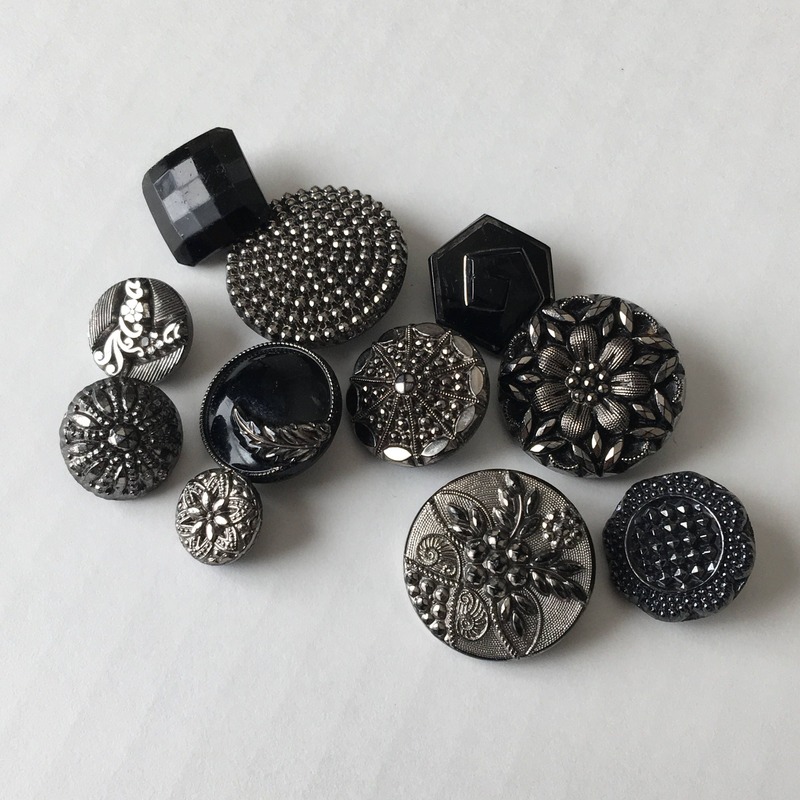 There are 11 buttons in all.